The DISC Sales Assessment is catered to sales and the sales process. 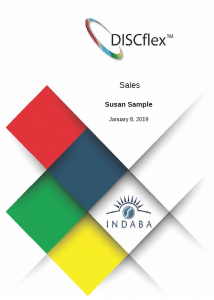 The DISC Sales Report is 60+ pages and is typically used for executive sales training or in tandem with Sales coaching eLearning course. The report pages include in-depth personal analysis of the sales process and the user's behavioral tendencies. 10 Report Topics: Initial Interview, Research & Discovery, Mental Preparation, Building Trust & Rapport, Gathering Data, Presentation Skills, Decision Making, Closing the Sale, Relationship Building, Motivators & Inspirational Forces.